SEO / UX / frontend development (a bit. I can improve layouts and site aesthetics and such, but database building remains a mystery). Any consultancy I provide offers quick wins and long-term solutions for your company. I make sure that my recommendations are specific to your company, too. There’s no point in offering colour-by-number ‘insights’ which are unrealistic given your workforce and budget. I also love hosting in-house workshops to share skills for life with your content team. I’m comfortable with every aspect of content creation, from collating requirements to commissioning, creating, editing, liaising with design/sales/development and achieving stakeholder signoff. As a digital editor I aim to provide structure and solid support to every creative, enabling them to do their thing and create amazing proven content on a regular basis. I consider myself lucky to work with such inspiring people. I take a holistic, cross-disciplinary approach to content strategy. From branding, scheduling, and delivery to SEO/UX and inbound/outbound marketing, my goal is to strengthen brand reach, retention and conversion. If you’ve read all that, you deserve a coffee before the next bit. I aim to write strong copy that welcomes the reader with open arms. I can produce swathes of typo-free content at speed. This may not sound glamorous, but not everything in the writing world is glamorous. Writing quickly and knowing what an Oxford comma is can be useful when you have a new content channel to populate for a hard deadline. I can ensure your copy is typo-free, too. Spearheading content and social campaigns (including content creation and marketing). I’ve worked frequently in the youth, employment and education sectors. I recognise how important safeguarding and sense-checking are in a constantly evolving social landscape. Words hold great power and great responsibility. I also have a strong editorial background in lifestyle and entertainment, having worked on film review site Best For Film and for a wide range of titles at IPC Media including Now Online, Country Life, and many more. Part of my editorial passion lies in finding the key to what a client wants for themselves and bridging that with the hopes and expectations of their target audience. And, of course, I love writing about topics that are key to my personal interests. I’m a self-confessed geek with a passion for the quirky, from film to food, fashion, and reading for fun. I like writing about board games and thrillers and solo karaoke. I’m a person, not an algorithm. 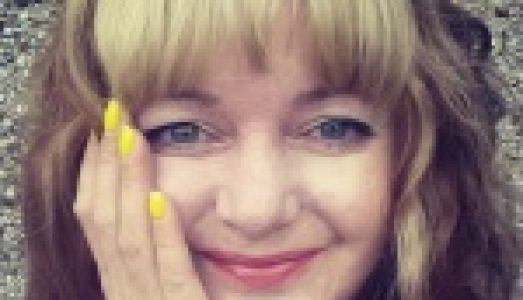 As the founding editor-in-chief of alternative feminist lifestyle site Mookychick.co.uk, launched in 2005, I turned an unknown commodity into a specialist brand with high-volume traffic on a shoestring budget. I’ve never known why budget would be measured in shoestrings. I had to look it up. Mookychick is going strong to this day and continues to provide its community with inspiring and warm-natured delights on a regular basis. I’ve led teams and worked in a freelance capacity to help websites build and retain relevant traffic which converts to business goals. Having benefitted from both an editorial and technical background, I’m as comfortable under a website’s bonnet as I am mindmapping campaigns or writing content that sticks when thrown at the search results wall. If you are thinking about the best approach for a new content channel for your website, or how you can improve your site’s aesthetics and user journey in a meaningful way, I’d love to help. I have plenty of experience with information architecture and wireframing online projects, too. If you have any queries or commisions, I’d love to hear from you. Please get in touch via editor@mookychick.co.uk.